United States intelligence and Strategic Command (STRATCOM) are working on a report evaluating the probability of the Russian and Chinese leadership to survive in the event of a nuclear strike, according to a section of the 2017 National Defense Authorization Act (NDAA). Congress wants the document to contain descriptions of "the location and description of above-ground and underground facilities important to the political and military leadership survivability, command and control, and continuity of government programs and activities of each respective country." Meanwhile, on Friday, Trump ordered the Pentagon to prepare another document, a Nuclear Posture Review, aimed at assessing the readiness of the US nuclear deterrence forces. Previously, Trump hinted at the possible removal of anti-Russian sanctions in exchange for a bilateral nuclear arms reduction agreement. Back in the early-1970s, the Soviet Union created the Perimeter System, known as Dead Hand in the US and Europe. "This system duplicated the functions of a command post automatically triggering the launch of the Russian nuclear missiles if the country’s leadership was destroyed by a nuclear strike," Leonid Ivashov, president of the Academy of Geopolitical Problems, told the Russian online newspaper Vzglyad. Moreover, in the early-1970s, the Chinese government was seriously concerned over a possible nuclear conflict with the USSR. "As for China’s nuclear defense system, there was no serious defense under Mao Zedong. 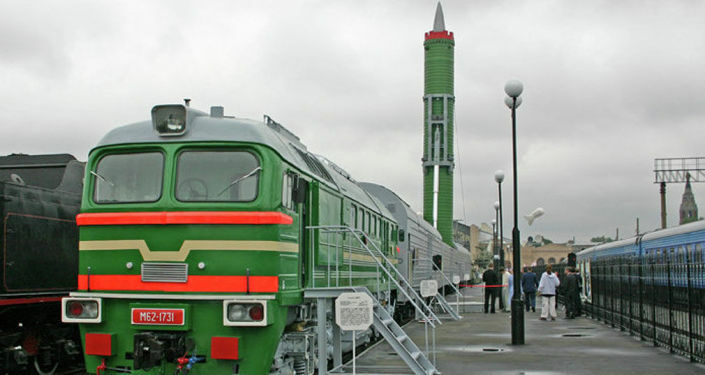 China simply built nuclear shelters for members of the political bureau and even for local leadership," Ivashov noted. In 1981, shortly after his inauguration, US President Ronald Raegan received a report from the CIA on the survivability of the Soviet people and the Soviet leadership in the event of disastrous climate changes as well as a nuclear strike. "At the time, the Americans decided that the Soviet Union was the most nuclear-proof country, especially such its territories as Siberia, Altai and Kazakhstan. Thus, Raegan approved a 10-year plan to destroy the Soviet Union. A preventive nuclear strike was in consideration. Soviet intelligence was aware of the plans, and Moscow began building bunkers for workers and the leadership. A system of bunkers known as the Grot System was created," the expert said. In 1983, Raegan received a new report saying that the Soviet strategic management system was more stable than its American analogue. "Then, Washington decided that soft power would be more effective on the standoff between the US and the USSR, rather than a nuclear or conventional war," Ivashov added. The modernization of Soviet-era nuclear defense systems began during the presidency of Boris Yeltsin (1991-1999). Significant progress was also made during Vladimir Putin’s presidency, including expanding the life support systems’ capacity to three months. 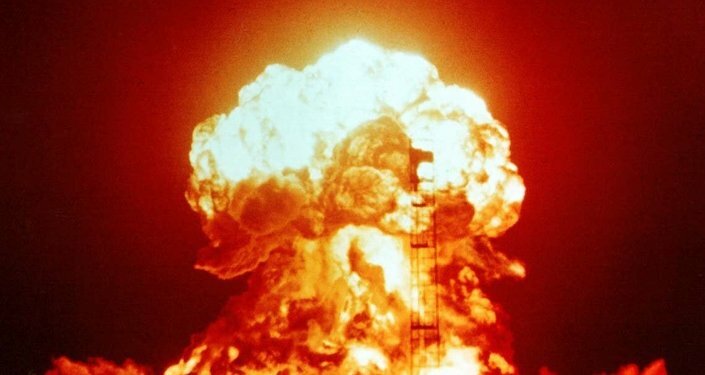 According to Ivashov, after 2000, Washington approved the conception of a rapid global strike, and, as a result, stopped to modernize its strategic nuclear arsenal. "The US focused on the conception of a highly accurate strike, with the following use of tactical weapons. Moreover, the US adopted the global missile shield plan," Ivashov explained. The recently announced review will be followed by a new report for President Trump. The expert stressed that certain measures against Russia’s management infrastructure may be possible. "I don’t think this would be a nuclear strike. But they may consider a cyber-attack, including against the banking system and other critical infrastructure," Ivashov said. According to political analyst Igor Nikolaichuk, such evaluation is routine and such reports are regularly prepared and updated under the national nuclear program. "Those plans are the sacred part of the US military doctrine. This is why they need to be reviewed and updated from time to time," Nikolaichuk told Radio Sputnik. The analyst also commented on Trump’s order to examine the US nuclear potential. "As for the strategic nuclear forces, each president would try to do his best to ensure their effectiveness. By examining Russia’s survivability in the event of a nuclear strike, Washington will try to weaken Russia’s strategic nuclear forces. But this is a normal goal for the President of the United States," Nikolaichuk pointed out. Director of the Center for Military Forecast Anatoly Tsyganok reminded that the CIA, the Pentagon and other US intelligence services had been monitoring the situation in the Soviet Union since the 1950s. "By the end of 1961, Washington considered strikes against the 10 main targets in the USSR, including Moscow, Novosibirsk, Tyumen and Sverdlovsk [Yekaterinburg]. But after 1961, such an option was never even discussed, because the US knew that the Soviet Union had a system for a retaliation nuclear strike," Tsyganok was quoted as saying by Vzglyad. The expert suggested that the examination was initiated before Donald Trump’s inauguration as US president. "Everyone understands the threat of a nuclear war. One should not forget that the US and Russia have nearly 90 percent of all nuclear bombs and equipment in the world," he said. Military and political expert Ivan Konovalov underscored that usually a nuclear state can secure the survival of its leadership but the potential aggressor may try to conduct a sudden strike at a time the leaders cannot be protected. "All nuclear powers, especially the leading ones, have life support systems in the event of a crisis. But the efficiency of a nuclear strike also depends on where and when it can be conducted against the leadership," Konovalov said. In turn, retired Lt. Gen. Aytech Bizhev underscored that the survivability of the national leadership is also ensured by the country’s missile defense shield. "There are missile defense system and nuclear attack alert systems. No missile launch by other countries’ strategic forces can go unnoticed by those systems," Bizhev said. All data regarding bunkers for the Russian leadership in the event of a nuclear war are classified. All secret bunkers and cities are overseen by the Federal Security Service (FSB) and the Main Presidential Directorate for Special Programs. Nevertheless, some Soviet-era secret facilities have been recently declassified, including, for example, the so-called Brezhnev’s Bunker in Moscow. Currently, there is a museum inside the facility. Initially, the bunker was designed a nuclear shelter for the Soviet establishment. It was constructed in 1956 and located 50 meters below ground. However, by the time, it was decided to build another shelter for the Soviet leadership, and the facility housed the long-range aviation command staff. It is also known that the buildings of the Russian Defense Ministry and armed service branches have underground facilities, but they are authorized personnel only. Declassified archives of the Committee for State Security (KGB) can also shed some light on Soviet secret bunkers. For example, according to those files, an underground city with a capacity of 15,000 people was built in Ramenki District, in Moscow. It had autonomous power generating, air and water supplying systems.